Land combat is the one thing this series could always have kept improving on, it’s the last lacking gem for the game play. A shame it won’t be in. I think with land-based combat will be an great added value for the game(play). I played every anno serie and downloaded the last anno (2205), becasue it was not worth the money for me. I could do just play SimCity or City skylines as well. The combination of building and control your own city’s and fight other characters was for me the most fun part in the games. I don’t care how long the development will take, but what the quality of the game will be, like GTA 5. I will see if I have to download again or it’s worth buying. I would like to see a blog about police, maybe upgradable (expandable) police stations. Or maybe the prison island can help you (with extra forces) during a riot? But please no missions you need to search people on the island, or considering another system? Have you guys looked at more abstracted land combat? Islands are for more slow moving action. I love it for city building, not so much for slow army management. 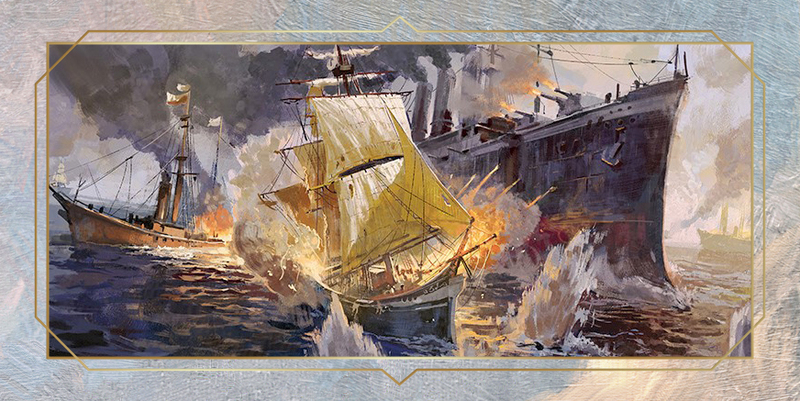 Oceans are for fast action, great for naval action. Love it. What if we create another screen that says there are 12 units defending this island and 25 units attacking, at this rate the island can hold out for ~ 40 min!? This would completely eliminate the tediousness of controlling individual units or moving camps around. It would also enable the island to be optimized for building placement. That is, strictly speaking the soldier animations don’t have to “drive the simulation”, you could drive the results of the combat mostly from force ratios and combat modifiers (i.e. defence is OP?). Animations are mostly for eye candy. If you needed to be quick and dirty we don’t technically need the animations for it, but it would be super cool to see the units skirmishing along the island. Penalties for defender include reduced productivity. Guerilla tactics could be a thing? Pirates are here reducing our productivity by 15%. Build a garrison to protect island or deal with the pirates in other manner. Additionally, if you achieve naval dominance you could severely hurt an invasion army by cutting their supply line? What I am thinking is that you can tweak the numbers such that attacking cities is hard, like really requires preparation, while attacking outliers is easier. Furthermore, if we really want to go there, we could have the defensive building placement matter somewhat. Thanks for reading and talking about this in dev diaries. All I want to say is that the idea of warfare adds stakes to the game. There has to be a “risk” factor for me. Something to keep me on my toes a little bit. When there is no risk, it sort of takes something away that compromises the gameplay. The challenge lies in avoiding making the supposed risk something that is really just tedious, whatever that means. From the start, Anno has been a game that combines land RST combat with city building. Remove land combat and it is no longer an ANNO game. I’m perfectly fine with this decision. The land combat has always been a bit slow. I tolerated it in 2070 because the aircraft was a lot less clunky than troops. As long as there is a mechanism for taking over other players islands, I’m content. The 1404 Venice option of buying out islands was fine. I like to develop all the sides of Anno. The presence of military infantry means a lot to me. I am also ready to buy a military DLC with infantry. Noooo. My hopes were up REALLY high for this. I’m immensely disappointed. I don’t care about bugs or glitches or partial Gameplay. Just give us something like 1701. If it won’t be in the main game, fine, but please consider making it dlc number one. I’d pay 300 dollars for a modern Anno 1701 and this is almost that. But we need land combat. And walls. What about the lodge from 1701? I really loved that feature. It could make a great supplement. I have played each any game of the anno series and can accept your decision to set focus on production chains, naval combat and City Building elements. In the other hand i would be happy if you see a possibility to add land combat after releasing the Game as many other commentators written in their posts. A great decision which I support for the full 100%. You could not make me happier (well actually you could, by removing war in total :)). Althoug I never realy focused on combat in my games exept for defense, I alwais liked planing out a island takover when I do went on the offencive. Blokking the harbor and distroying the key production chains on land to make hem weak. I’m supportive of the decision. I didn’t find the land combat particularly core to my experience. I’m hoping in lieu of land combat maybe we’ll get more vavried and in depth naval combat. Upgradable? Leveling? Weapon/armor/auxiliary slots? ‘Hero’ Ships? ‘Experimental’ Ironclad? Certainly plenty to build off of 2205. This. Anno 1701 and 1404 (venise) were amazing, after that all the Anno were just medium. Add land-based combat, Anno 1800 needs it. Can’t agree more. The game doesn’t feel complete without annihilating your friends at the end. Nukes in 2070 were a wonderful deterrence and then getting to launch them at the end just for kicks really gave us a solid ending. I was really hoping war would be given a higher priority. I like Anno because it’s the city building, RTS hybrid. Such a shame to see it turn on what made it once so great. This is ridiculousity at its finest. I understand that Anno is a complex game and that we all like different aspects from the same game, but to say that the game doesn´t feel complete without annihilating your friends with nukes is simply delusional. Have you really played Anno at all? Go get yourself a copy of Command & Conquer. I’m grateful you decided to focus on the economy. It always was the core element of Anno, I don’t want it to be worse just to include land-based combat. Anyways, winning wars was always based on that who has better economy and bigger population. Buying out enemies or defeating them in war always required the same thing: strong economy. And you said that land-based combat won’t be in the launch version so I guess you might add it to the game later via some DLCs – I think it would still satisfy those war-loving people. Keep in mind – there are many people who would agree with your decision! I support your decission 100% and I´m very happy to know that you´re going to be focusing in other aspects of the game. Keep the amazing work guys! Thanks Paul, we have a few exciting plans for the next weeks, but it was important for us to let you and other fans know about the decision. I disagree with the decision, as land base combat is an essential part of any historical game. I understand why you had to drop it, but I would hope you add it later on to the game as a DLC , as it adds more to the game then what you believe so. I believe in the anno team as the games you deliver are quite exceptional (I have not played anno 2205). technically it is and what I like about this game is that it combines military and city building and it does it perfectly. The 1701 land combat system was probably the best out of all, while the city building aspect has been consistently improving.